I was present, but not engaged. My mind had wondered away from the meeting. I think I had even fallen asleep for a moment. Then in an instant, I was startled to attention. Called upon in the middle of my afternoon nap.I heard my name called. “Jim, what do great coaches do?” I am not sure if my good friend and mentor called on me because he knew I had the answer, or because I was asleep. Now that I am awake, what do great coaches do? Great coaches take you to places you could not go on your own. Coaches help you maximize the quality and depth of your strengths, and guide your development through practice, training and observation. Great coaches help you, through deliberate practice, to make your weaknesses irrelevant. Westering’s PLU team defeated Mt. Union 42-13. While the loss ended an incredible streak for Mt. Union, they started a new streak, going on to win another 55 consecutive games and 3 national titles. Frosty Westering is one of the great coaches very few people have heard of. With 302 wins, Frosty Westering is one of only 11 college football coaches who have won 300 games. Great coaching supports great achievement. With the Seattle Seahawks win over the Denver Broncos in Super Bowl XLVIII, Pete Carroll became only the third coach in history to win a Super Bowl and an NCAA Div. I Football Championship. While coaching takes center stage in sports, coaching is not reserved for athletes. Research shows that elite performance is never achieved on your own. How Great Coaches Raise Performance? Ask you tough questions to make you aware of your strengths and weaknesses. Accelerate your rate of learning because of their unique level of knowledge and expertise. Improve the effectiveness and efficiency of your deliberate practice by providing critical feedback. Identify the skills and knowledge needed to position you for a promotion, increased responsibility, or a career change. Help you develop a base of knowledge and expertise to improve your ability to “self-coach” when they are not present. Great coaches take you to places you cannot go on your own. If you want to raise your performance, breakthrough performance barriers, and unlock your potential, develop a relationship with a coach and mentor. Want to explore the value of coaching more? 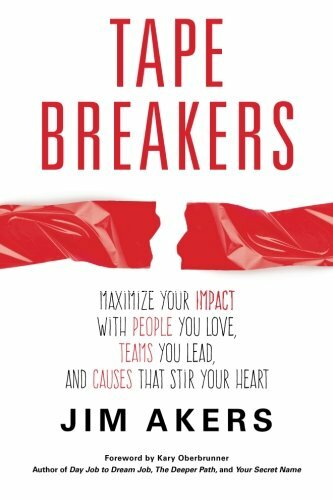 Check out chapter nine in Tape Breakers! Know a great coach no one has heard of? Have a comment about coaching or this post? Take a moment and leave me your thoughts. thanks now the big question is where do I find this coach. and thank you for the daily thoughts. Hi jim I would like my coach to teach me the strategy of seriousness, People do not take me serious so my abilities and talents are left unnoticed Im more then what the eye see there is a lot of determination and ambition within but Im the only one who knows it.